Friends, Romans, Internetmen, the day has arrived. Yes, my fellow Netizens, Google's Nexus One is finally here. The phone some swore would practically change life as we know it made its official debut at Google's California headquarters Tuesday morning. After all the hype surrounding the Nexus One's prelaunch buzz, interest in this pocket-sized device is definitely sky-high. Can anything live up to the rumor-driven frenzy the blogosphere created? Probably not. After all, the Nexus One isn't a world-altering, "every-other-device-imaginable killer." It is, however, an impressively powerful new phone that's sure to expand Android's growing grip on the smartphone market even further. Here's a complete breakdown of what the Nexus One is and isn't, how it compares to other Android devices, and what its debut means for you. • How fast is Google's Nexus One? In a nutshell: pretty darn fast. The Nexus One runs on a 1-GHz Qualcomm Snapdragon processor. 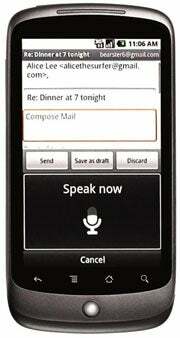 The Motorola Droid, for comparison, has a 550-MHz ARM Cortex-A8 processor; the iPhone 3GS runs on a 600-MHz chip. The Nexus One also has twice the RAM of the Droid or the iPhone, with 512 MB on-board. • What about the display -- how does it compare? 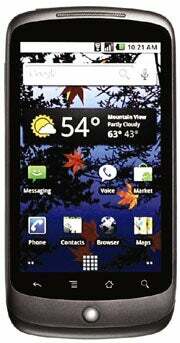 The Nexus One sports a 3.7-inch OLED 480-by-800 display. The Droid's display is actually slightly larger, at 3.7-inch and 480-by-854 pixels, but it uses TFT-LCD technology rather than OLED. While the Droid's screen is generally regarded as superior to the iPhone's 3.5-inch, 480-by-320 offering, OLED screens are typically brighter and more color-rich than their TFT-LCD counterparts. This YouTube video shows a nice side-by-side comparison of the two technologies. It's actually looking at digital camera displays, but it provides a pretty good visualization of how the screen types vary. • Does this thing weigh a ton? Nope; the Nexus One weighs 130 grams and is 11.5 millimeters thick. That's slightly lighter and smaller than the Droid, which is 169 grams and 13.7 millimeters. It even beats out the svelte iPhone, which is 12.3 millimeters deep and 135 grams. • What's new in the software? The Nexus One comes with Android 2.1, the latest update to the Android 2.0 operating system introduced with the Droid. (The Droid has since been upgraded to Android 2.0.1.) Most of the changes we've been hearing about up until now are related to this software upgrade. Those changes include a new voice-enabled typing system for all text fields; "live" wallpapers that move and respond to your touch; an expanded home screen with five panels instead of three; a new home-panel navigation system that lets you see thumbnails your different panels and click directly to them; additional system widgets; a 3D photo gallery; and a redesigned look to the standard Android "app drawer." A new Google Earth Android app was also shown off during the Nexus One demo. Google said it'll soon be offered within the general Android Market. • So is my Droid obsolete? Far from it. The main differences between the Droid and the Nexus One are the speed and the screen. The rest of the stuff is generally tied to the Android 2.1 update, and the Droid will be receiving that update, too. The Nexus One, of course, has a different look and feel to it -- it's a bit more rounded and iPhone-esque, compared to the Droid's more angled and rugged appearance -- but that all comes down to personal preference. Ultimately, if you're happy with the speed and the display of your Droid, you're in fine shape. The software changes will make their way to your phone soon, too. Next: When will everyone else get Android 2.1, what about multitouch and tethering, and what about all this "unlocked" business? Google's new Nexus One phone falls short of some expectations. Google Nexus One Today, but What About the Games?